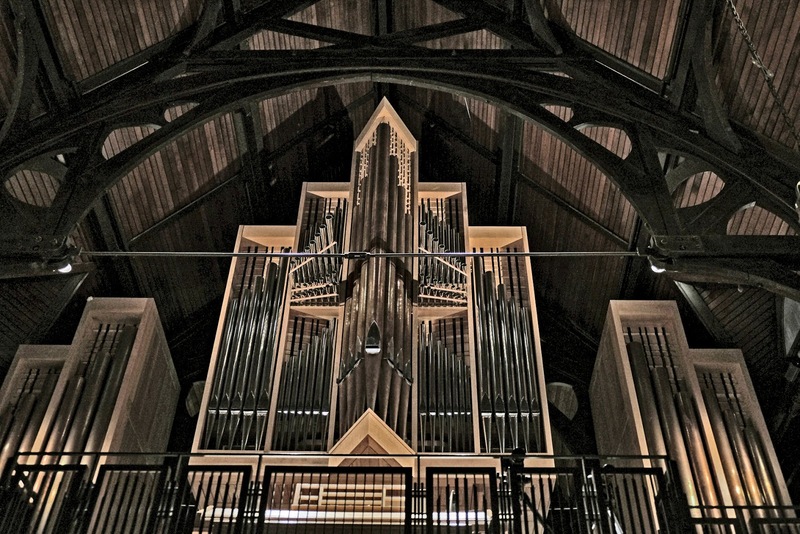 My Rosemary and I attended last night’s New Music For Old Instruments – After Bach at Christ Churh Cathedral featuring the Pacific Baroque Orchestra under the Musical Direction of Alexander Weimann. The concert was a collaboration involving the Pacific Baroque Orchestra, Early Music Vancouver and the Vancouver New Music Festival that ends this Monday. 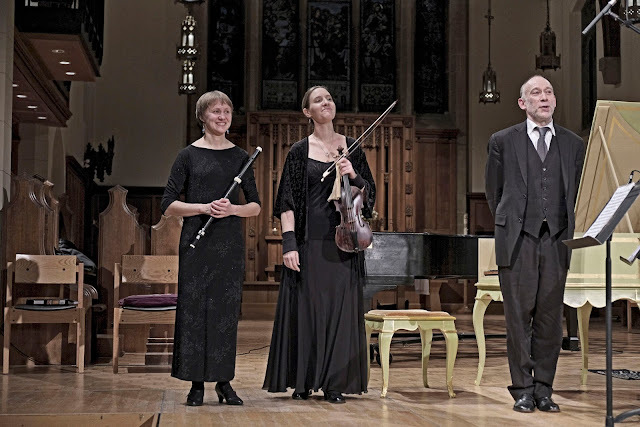 The four contemporary composers of the program (all four were present), Jocelyn Morlock, Douglas Finch, Rodney Sharman and Bramwell Tovey) were asked to compose works with some connection to Bach and with the exact instrumentation of the Pacific Baroque Orchestra that evening. 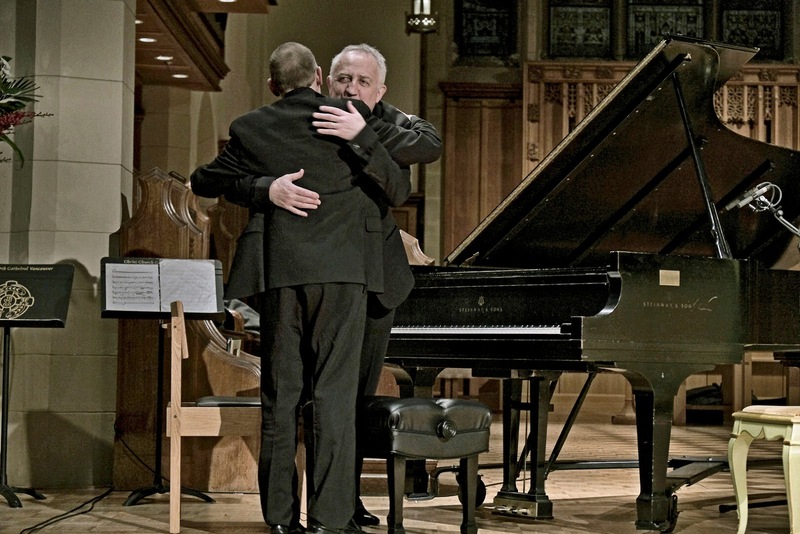 For me what made this concert special besides the awesome performance of VSO Musical Director Bramwell Tovey on solo piano, Alexander Weimann on solo harpsichord and then the two four-hands on the piano was a moment that I had not really noticed before after many observed live playings of Bach’s Brandenburg Concerto No. 5, BWV 150. We all know about that, unprecedented in Bach’s time, of the harpsichord solo in the first Allegro movement. Vancouver Early Music Composer in Residence, Rodney Sharman did praise (to the stratosphere) Alexander Weimann’s playing of that solo. 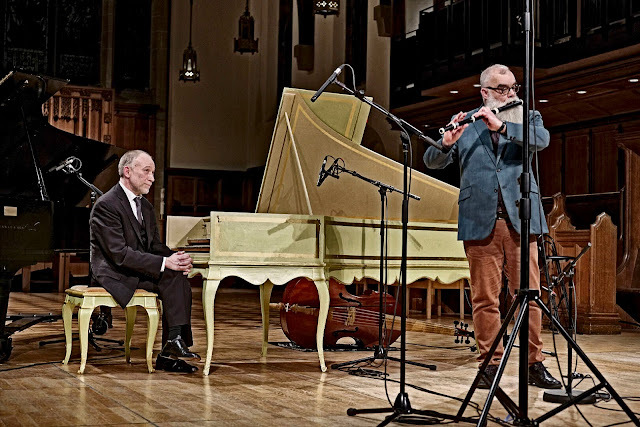 For me it was the trio of harpsichord (Weimann), flute (Soile Stratkauskas) and violin (Chloe Meyers) in the beginning of the second Affetuoso movement. It was beyond lovely. I don’t even know if the expression exquisite does any justice to that flute and violin together from our vantage point on the first row facing them. 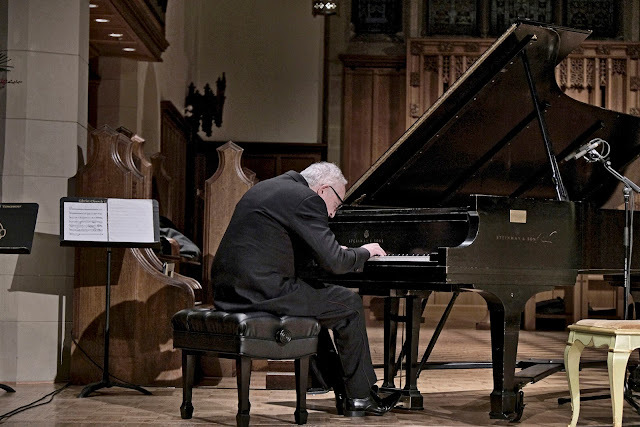 The rest of the concert, was Bach-inspired works by composers Jocelyn Morlock, Douglas Finch, Rodney Sharman, Bramwell Tovey and Györgi Ligeti (diseased 2006). This last one was a Weimann harpsichord solo of which more below. But I have to begin with Rodney Sharman and his Tell & Show (not show and tell!) method. Sharman made sure that every composer explained as thoroughly as they could their work but Sharman went one further. For his piece Snared Harmony he brought out his baroque flute (learning it since October) to explain how it works and its capabilities. Demonstrating it (as best he could!) it made understanding some of the odd notes we heard when his piece was performed. And, of course Soile Stratkauskas was top notch with her flute for this work. Throughout the night including conducting Douglas Finch’s Chorale Threnody you could not miss Sharman, the man with the green jacket. Not all the music was accessible to our non-musicians’ ears. In particular I must cite Finch’s Chorale Threnody which was originally composed for piano (Corey Hamm) and erhu (Nicole Li). I heard that piece performed last year but I could not remember the resemblance. Since I love Charles Ives I was ready to accept that Finch’s polytonality like Ives’s has to be heard more than once. 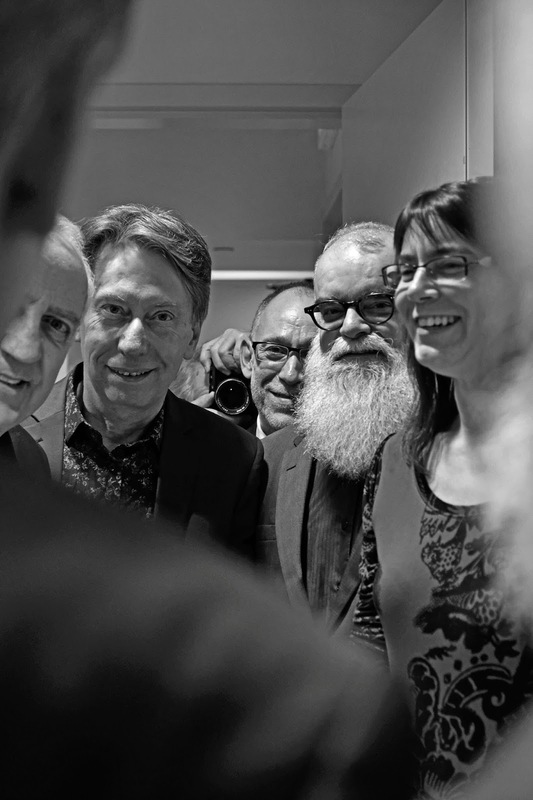 I can attest to the fact that in the last few years I have listened to repeated live performances by the Microcosmos String Quartet (headed by Marc Destrubé) of Bartok’s Quartets but I still cannot tell them apart! I hope I am able to listen to Chorale Threnody again. Jocelyn Morlock’s Revenant (came back to haunt me as I originally heard it played by the Burney Ensemble) was the kind of music that Morlock excels at. She lures you in with tonality and before you know it you are in uncharted territories without knowing it. To my amateur ears, her work sounded as if Bach had hopped on a time machine to LA and composed the work sometime in the 20th century while drinking Gatorade. Rosemary smiled during the performance. The playing of the Brandenburg was extra special as the orchestra was reduced to a core that consisted of Stratkauskas on flute, Chloe Myers, violin, Christi Myers, violin, Mieka Michaux, viola, Nathan Whitaker, cello and Natalie Macke, violone., What this meant is that Weimann’s harpsichord could be heard at all times! Now for my boo-boo. For the pictures I took here I used my brand new Fuji X-E3 which has an electronic shutter that not even whispers. It is completely silent. During the Ligeti Passacaglia Ungherese, a solo piece for harpsichord (an almost chaconne which is my fave, fave) my camera slipped from my lap to the floor. 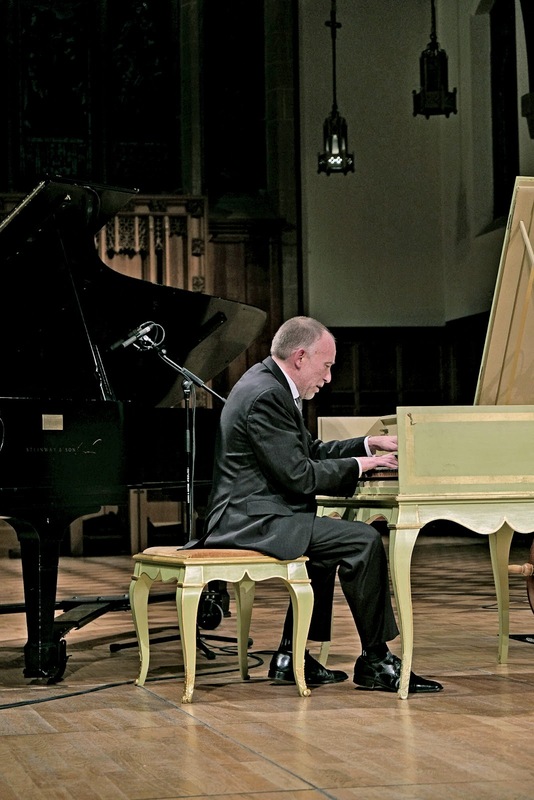 The CBC recorded this show (the EMV website will inform us when the concert airs on the radio). Chloe Myers who was turning Weimann’s music stared right at me and I wanted to disappear. The last piece of the night was Bramwell Tovey’s Sinfonia Della Passione. It sounded a tad like Bach but the best part of it (besides the fact that my Rosemary loved it and she rarely likes anything) was the smile on Mieka Michaux’s face. This composition put her viola left, right and centre. When I photographed the Five Amigos in the Christ Church Cathedral gender-neutral powder room I thought of the fact that Tovey has been a Vancouver institution for years. Will this city understand its loss when he leaves shortly for other shores. In my daily NY Times I have enjoyed through the years the articles about Tovey conducting the Summer Pops in New York. In the photo he is always wearing a white tux jacket. Invariably the writer mentions how Tovey can make attendees comfortable with his explanations. Bach’s Musical Offering occurred at the court of Frederick The Great where the emperor (not a bad flute player) challenged Bach to play something on the spot with the listening of a theme right then. 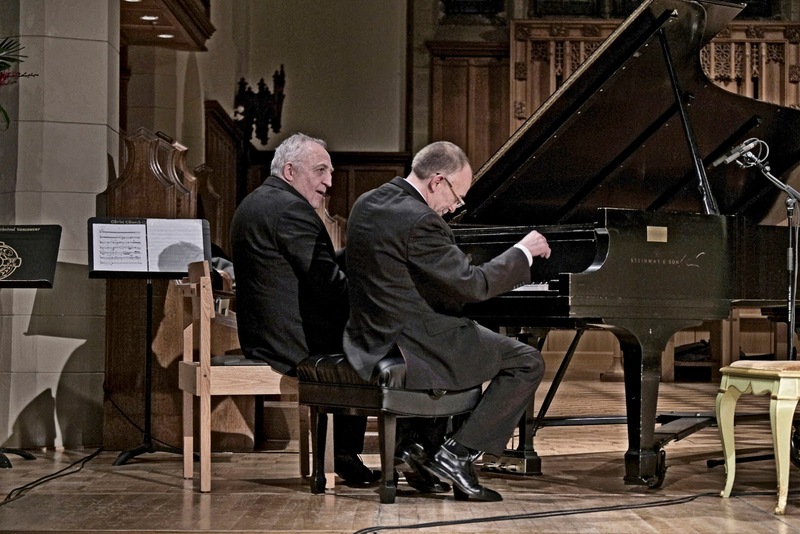 Both Tovey and Weimann repeated (somewhat) that lofty feat after only listening to a short Bach theme played by Sharman (not at his Emperor’s best) to each one of them. Weimann ended his version with a surprisingly fast ending that I was too stupid record on my silent camera. 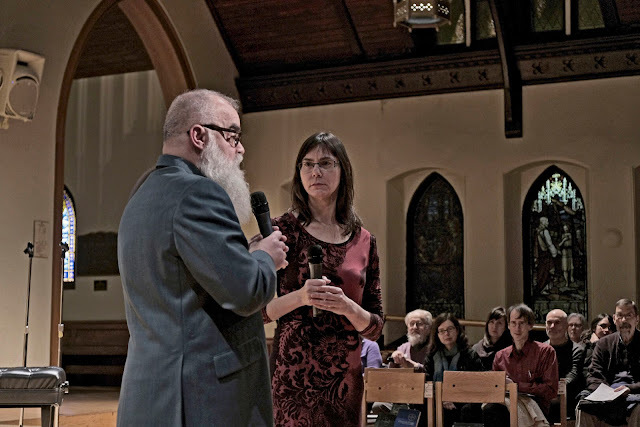 I was privy (I have a good ear) to the fact and I can predict here, now, that sometime this year there will be a new composition by Jocelyn Morlock for Early Music Vancouver’s great-idea-in-progress, new music for old instruments. Meanwhile we can all record the CBC broadcast of Morlock’s Revenant and see how it plays backwards.